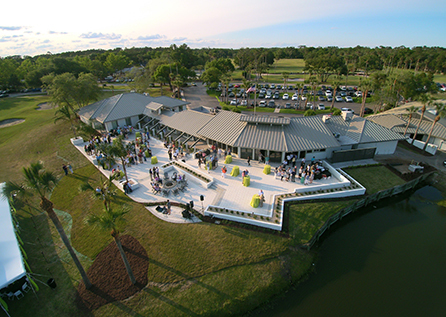 Now open in the renovated Oak Bridge Clubhouse, 3 Palms Grille is brought to you by the creative team behind Eleven South in Jacksonville Beach. Whether it’s inside the beautifully renovated dining room or under the covered patio, 3 Palms Grille is an outstanding addition to the Ponte Vedra Beach restaurant scene. The newly renovated space boasts over 3,000 square feet and offers seating for 200. It is the perfect destination for a cocktail after the round, an appetizing snack after your tennis match, or space to enjoy a meal with the family. It also provides an ideal venue for groups and catered events year-round.